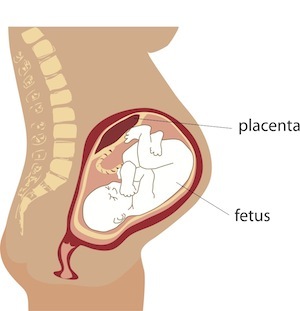 In healthy human tissues, cell-cell fusion is uncommon, but this fusion is necessary for placental development during pregnancy. Researchers have long searched for some idea or indication explaining how the body promotes cell-cell fusion during pregnancy, but not during normal body function. Cell-cell fusion also occurs in patients with neoplasia and some viral infections, which accounts for much of the clinical interest on the subject. Researchers from various colleges and hospitals recently published a piece in the journal Surface Science Reports identifying the process that takes place during placental cell-cell fusion. According to researchers, suppressyn inhibits cell-cell fusion in a normal, healthy cellular situation, but during pregnancy suppressyn suppresses syn1, but syn2 is left alone. Syn2 is thus responsible for allowing the cell-cell fusion necessary for healthy placental development. Revealing this process is key to future research into diseases and disorders where cell-cell fusion occurs abnormally. Source: Sugimoto J, Sugimoto M, Bernstein H, Jinno Y, Schust D. A novel human endogenous retroviral protein inhibits cell-cell fusion. Sci Rep. 2013 Mar 15;3:1462. doi: 10.1038/srep01462.